On the night of June 12, three Israeli teenagers suddenly went missing in Judea and Samaria. Our forces are relentlessly searching for them, operating under the presumption that they were kidnapped by Palestinian terrorists. 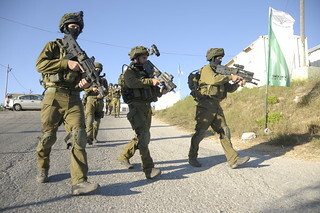 These exclusive photos show the efforts of the IDF soldiers in the Hebron area.